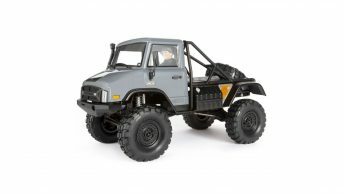 Axial has just released a 2-speed Hi/Lo Transmission conversion kit for the 1/10th scale Axial Yeti. The Yeti 2-speed Hi/Lo Transmission kit comes with everything needed to complete the conversion, including a second taller high gear and all gears are heat treated for ultra durability. The only thing you’ll need to include is a servo for the shifting and of course you will need a 3 channel radio. 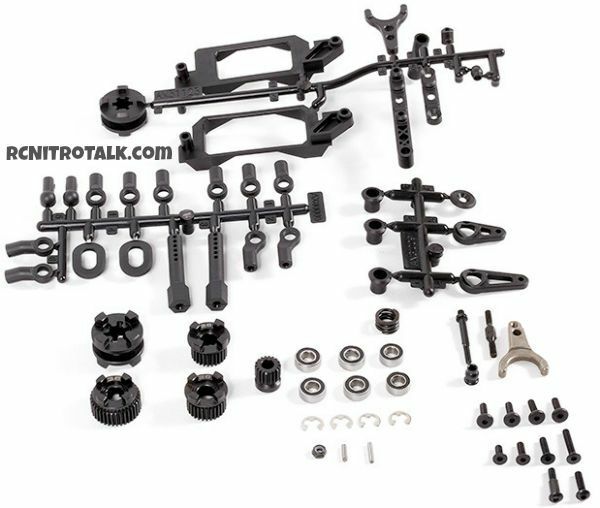 First gear of the Axial Yeti 2-speed Hi/Lo Transmission conversion kit ends up a being a 2:1 reduction intended for slow technical crawls while the Hi Gear (28T) gear is based off the stock 1.08:1 ratio and Hi Gear Option (26T) increases top speed with a 0.93:1 ratio. Shifting can also be done between the gears on the fly while driving from the convenience of your radio.